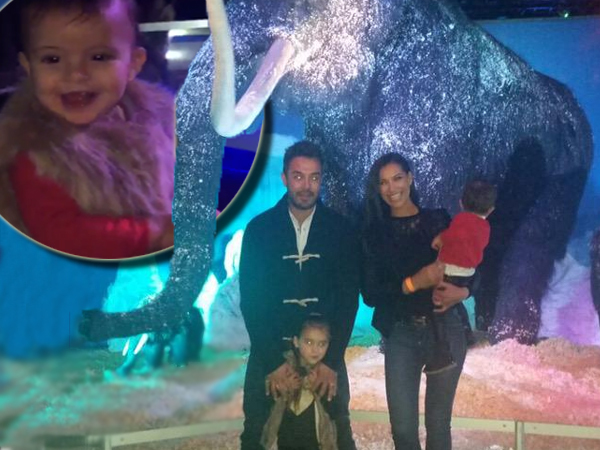 Zuraida Jardine, Leanne Manas and Lee-Ann Liebenberg were just a few of SA's big names who ventured with their families out on a cold winter's evening in Joburg to get a taste of the Ice Age! The stars and their little ones had a fantastic time meeting the life-like creatures on display. Lee-Ann and Nicky van der Walt's youngest daughter Gabriella's little screech of delight at one of the displays is just too adorable! Last night at the #IceAgeSA exhibition...she is such a girl! The youngsters even got up close and personal with a pair of sabre-toothed cats to take some photos. For more snaps, be sure to get your 9 July copy of YOU, out on Friday 3 July. Here's a taste of the big opening night. Don't miss out! The Ice Age is only in town until 8 August. Get your tickets here.